Sorry I’m a day late! Even Divas have to work sometimes… This Monday’s Mix is all bout the New Jack Swing! AGAIN!!! Teddy Riley is and was a genius back in his Uptown days. Every album that came out by Uptown, I was up in the record store on 145th st and Amsterdam copping the 33! Believe that. 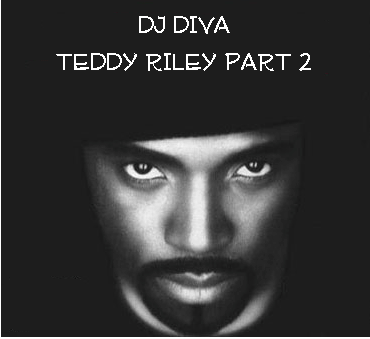 My sweet sixteen party was almost completely a Teddy Riley party!!! All the Rice dances…the dances at the parks..Every teen party was an Uptown party in Harlem! So enjoy the mix! This mix is hawt! Thank you once again for making my weeK. Wow, did I just get a shout out too in addition to the great music? Let’s take it Uptown TR! Hey now, Big Bub and Today! Ok…u told me about this…and u know it’s gonna straight to the iPod so it can be with Pt.1 LOL. Wow, Your Highness, this one is pure hotness! And to think I used to dislike Mondays… not any more! Great job mate thanks a bunch. © 2009 DJ Diva-The MIXTRESS of R and B.